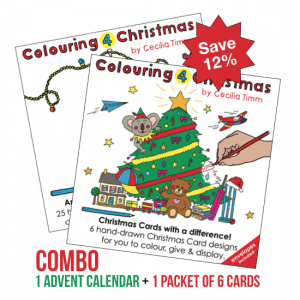 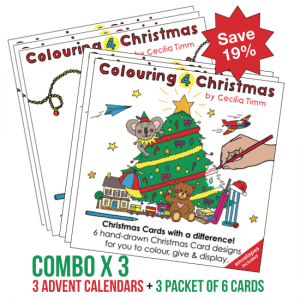 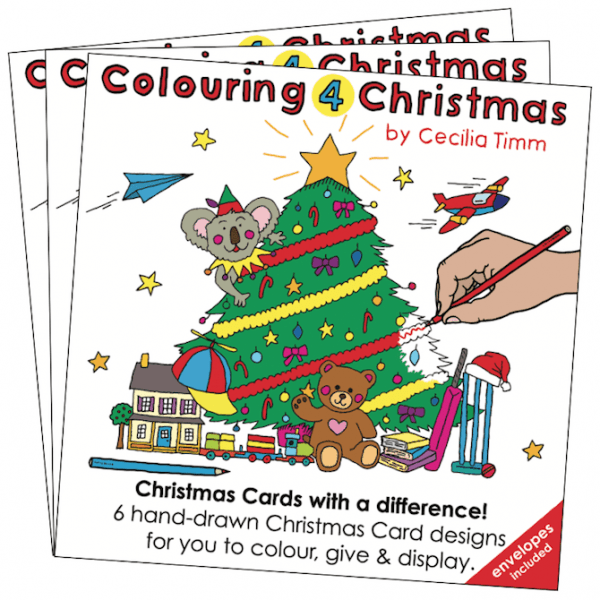 This 3 Pack contains 18 original colouring-in Christmas cards and 18 red envelopes. 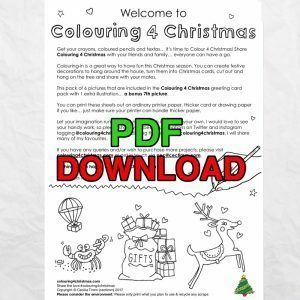 BUY IN BULK AND SAVE $10! 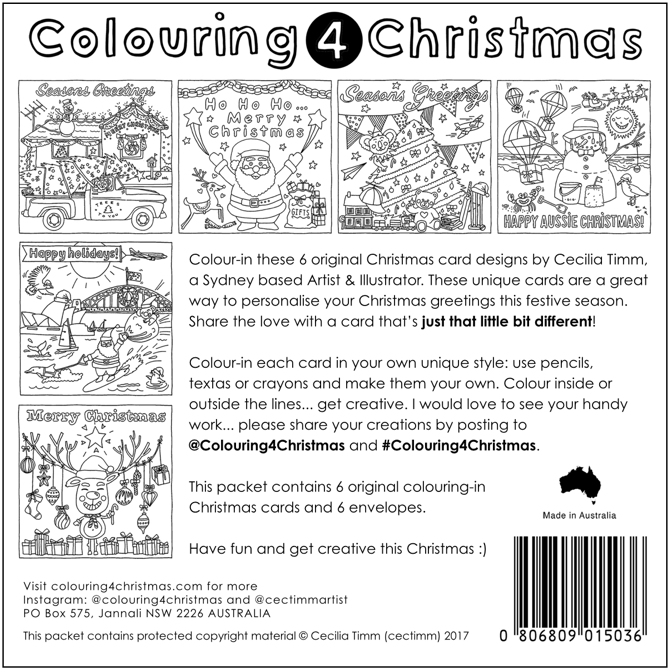 Colour-in these Christmas card designs by Cecilia Timm, a Sydney based Artist & Illustrator. These unique cards are a great way to personalise your Christmas greetings this festive season. Share the love with a card that’s just that little bit different! 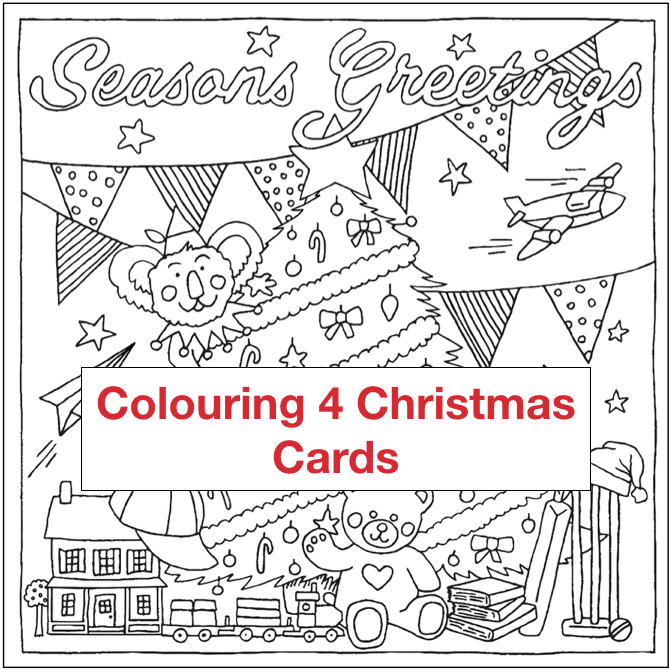 Colour-in each card in your own unique style: use pencils, textas or crayons and make them your own. 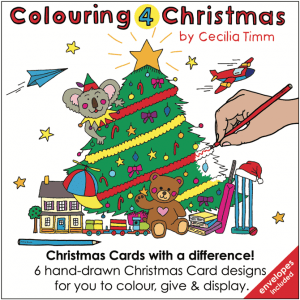 Colour inside or outside the lines… get creative. 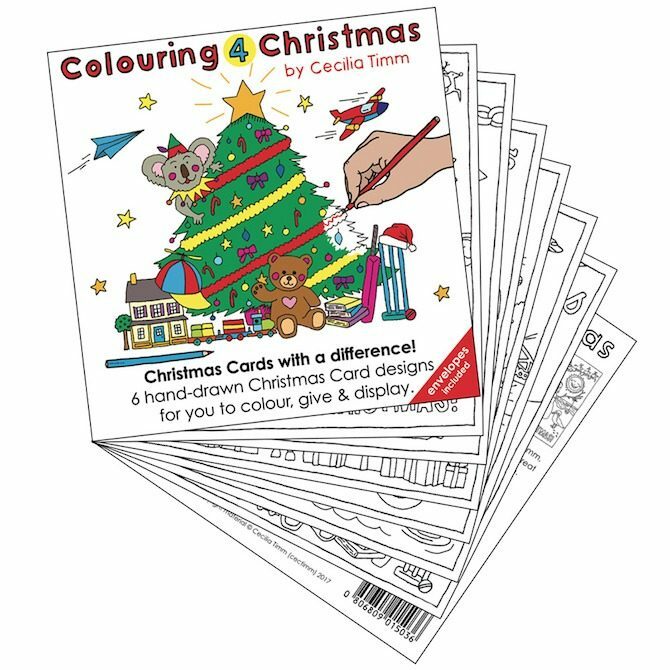 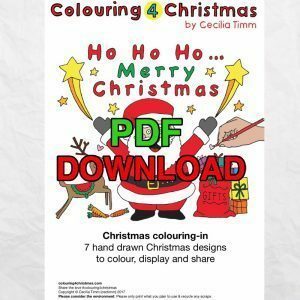 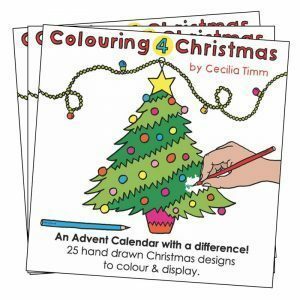 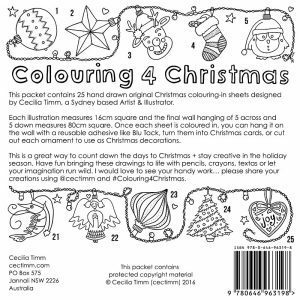 I would love to see your handy work… please share your creations by posting to @Colouring4Christmas and #Colouring4Christmas on Instagram.